It feels like the season just started yesterday, but we’re already on to our third event of the year, and this one’s going to be a tough one. Rally Sweden was not kind to drivers or fantasy WRC players, as the name of the game wasn’t “how fast is the driver” but “what’s their position on the start order.” Difficult road conditions wreaked havoc on the top three drivers from Sweden (Latvala, Ogier, and Tanak, also three of the main favorites), meaning the best any of the three could manage was seventh on the weekend. Latvala said during a stage end interview he’d never seen road sweeping play such a dramatic role in Sweden. Unfortunately this also played a dramatic role in Fantasy WRC as everyone had at least one of these drivers on their roster, and many had two or three, including our round winner. AntMic managed to win the round, courtesy of picking three of the top four finishers, edging out Hot Dog McKoy and Oregonwings by a single point. Meanwhile it was a massive shakeup in the season standings, with Shane Hutton jumping up seven spots to take the lead and former leader EarlZ dropping ten spots down to eleventh. Now to Mexico. It’s tough to pick a favorite for this event because it’s been unkind to most of the field. 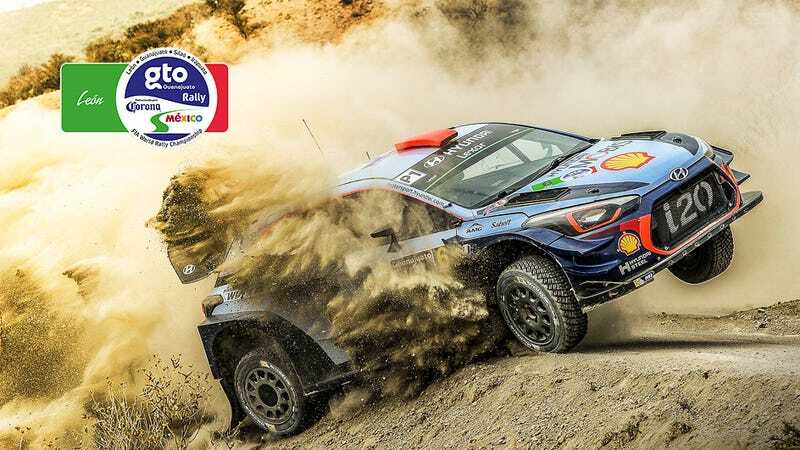 Of the nine drivers who have been here before, seven have an average finish outside the top 5, including two previous Mexico winners (last year’s winner, Kris Meeke, had never successfully even finished the event before 2017). If that’s not enough, the two winningest drivers of the past few seasons, Neuville and Ogier, will now be 1-2 on the road. Mexico has historically been notorious for road sweeping. Will the Mexico conditions produce a repeat of the effects we saw in Sweden? With only 11 WRC cars entered and a history of above average retirements is this the time to put a WRC2 car on your roster? Then of course there’s the matador in the room. Loeb. The most successful driver the WRC has ever seen, is back for the first of three events this season. The last six times he visited Mexico he won, every time. His record here is near perfect, and to top it off he’ll have the best road position of the lot. On the flip side he hasn’t raced a WRC car since Monte Carlo in 2015, he has limited experience with the new Citroen C3 (which, unlike the cars Loeb won with, wasn’t built around him), and the C3 has been, shall we say, spotty in terms of its speed and drivability. Is Loeb still Loeb, or are the oddds stacked too far against him?